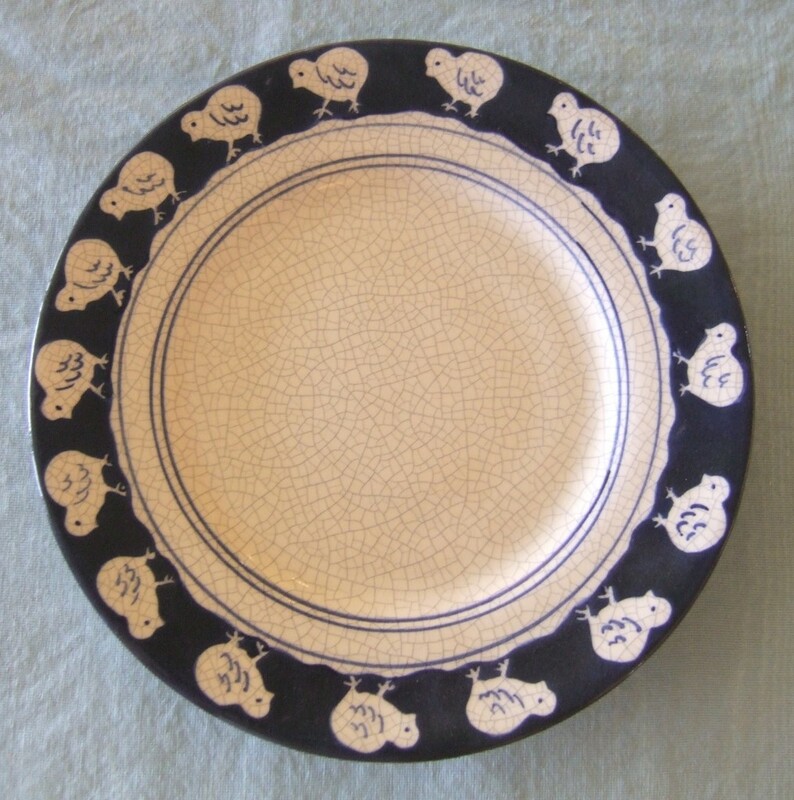 Dedham Pottery Throw features Dedham Pottery rabbit in center circle and as surrounding boarder. 100% cotton, reversible blue/white. Approximately 46″ X 66″ plus 2″ fringe. Made in U.S.A. US shipping via USPS additional $10. For international shipping please contact the Society. We are currently experiencing problems with our gift shop. Please call us at 781-326-1385, Tuesday – Friday, 9am – 4pm EST or email society@dedhamhistorical.org to place an order via credit card. We apologize for the inconvenience. Approximately 8.5″ diameter. MA residents add 6.25% sales tax. US Shipping additional $12 via insured USPS. For international shipping please contact the Society. We are currently experiencing problems with our gift shop. Please call us at 781-326-1385, Tuesday – Friday, 9am – 4pm EST or email society@dedhamhistorical.org to place an order via credit card. We apologize for the inconvenience. 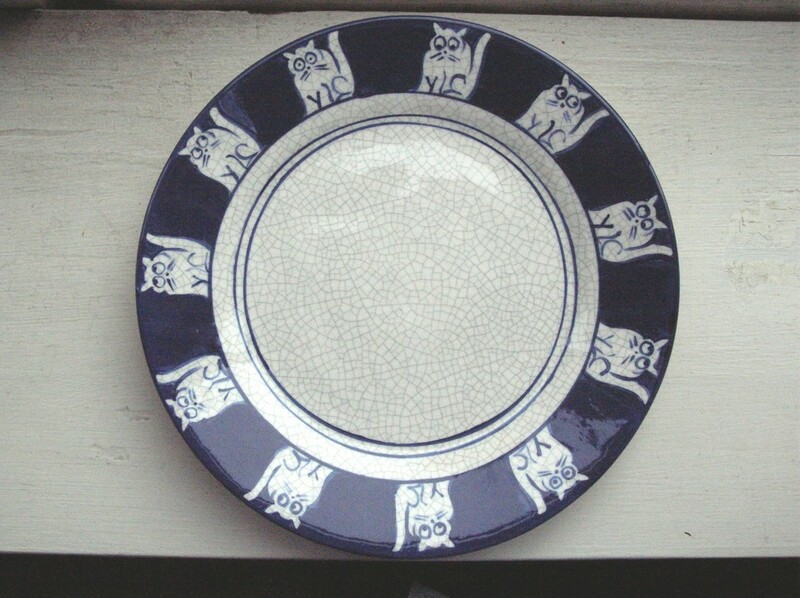 2008 Limited Edition Dedham Pottery Reproduction Cat Plate. Approximately 8.5″ diameter. Massachusetts residents add 6.25% sales tax. US Shipping via insured USPS additional $12. For international shipping please contact the Society. We are currently experiencing problems with our gift shop. Please call us at 781-326-1385, Tuesday – Friday, 9am – 4pm EST or email society@dedhamhistorical.org to place an order via credit card. We apologize for the inconvenience. Approximately 8.5″ diameter. Massachusetts residents add 6.25% sales tax. US Shipping additional $12 via insured USPS. For international shipping please contact the Society. We are currently experiencing problems with our gift shop. Please call us at 781-326-1385, Tuesday – Friday, 9am – 4pm EST or email society@dedhamhistorical.org to place an order via credit card. We apologize for the inconvenience. 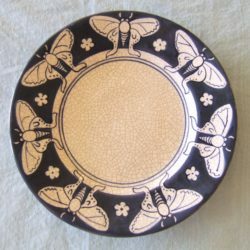 Approximately 8.5″ in diameter. Massachusetts residents add 6.25% sales tax. US Shipping additional $12 via insured USPS. For international shipping please contact the Society. We are currently experiencing problems with our gift shop. Please call us at 781-326-1385, Tuesday – Friday, 9am – 4pm EST or email society@dedhamhistorical.org to place an order via credit card. We apologize for the inconvenience. 2010 Limited Edition Dedham Pottery Reproduction English Mushroom Plate. Approximately 8.5″ diameter. Massachusetts residents add 6.25% sales tax. U.S. Shipping additional $12 via insured USPS. For international shipping please contact the Society. We are currently experiencing problems with our gift shop. Please call us at 781-326-1385, Tuesday – Friday, 9am – 4pm EST or email society@dedhamhistorical.org to place an order via credit card. We apologize for the inconvenience. 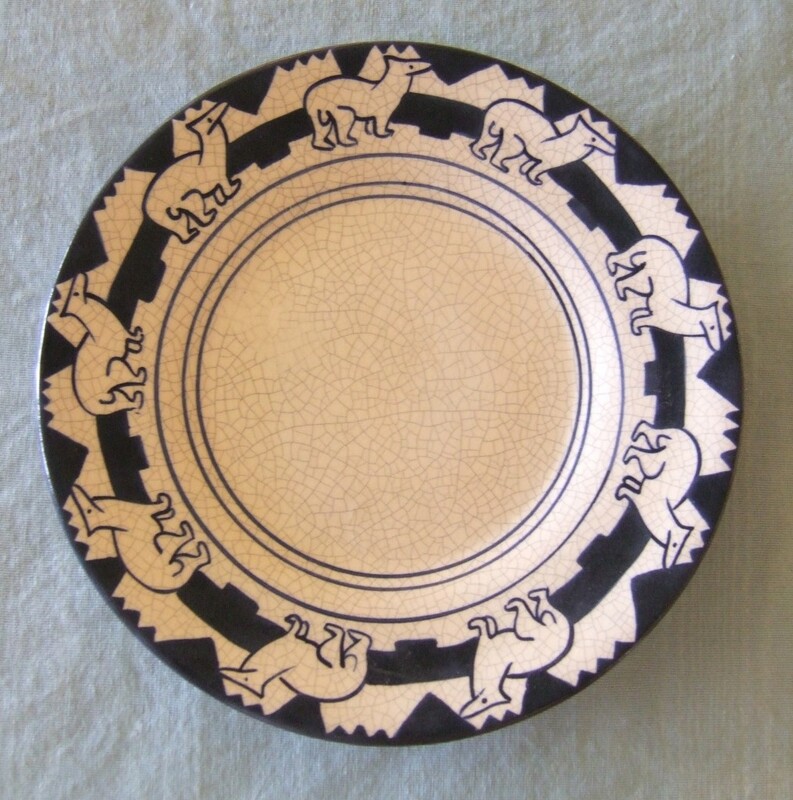 Approximately 8.5″ diameter. Massachusetts residents add 6.25% sales tax. US Shipping additional $12 via insured USPS. For international shipping please contact the Society. We are currently experiencing problems with our gift shop. Please call us at 781-326-1385, Tuesday – Friday, 9am – 4pm EST or email society@dedhamhistorical.org to place an order via credit card. We apologize for the inconvenience. Approximately 8.5″ diameter. Massachusetts residents add 6.25% sales tax. US Shipping additional $12 via insured USPS. For international shipping please contact the Society. 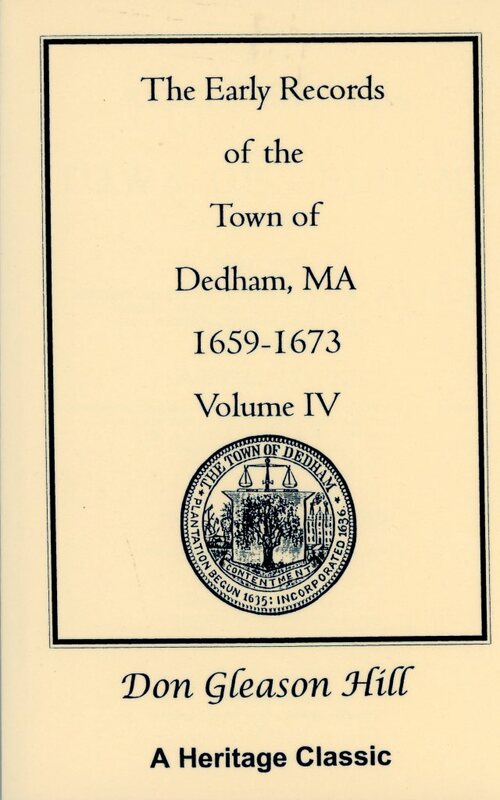 We are currently experencing problems with our gift shop-please call us at 781-326-1385Â Tuesday – Friday 9am – 4pm EST or email society@dedhamhistorical.org to place an order via credit card. We apologize for the inconvenience. A diagram of the burial ground (as of 1888) with an index to the location of epitaphs precedes the transcription of the epitaphs. The epitaphs typically give the deceased’s full name, date of death, and age at death. Many of them also indicate the name(s) and relationship of surviving family members. 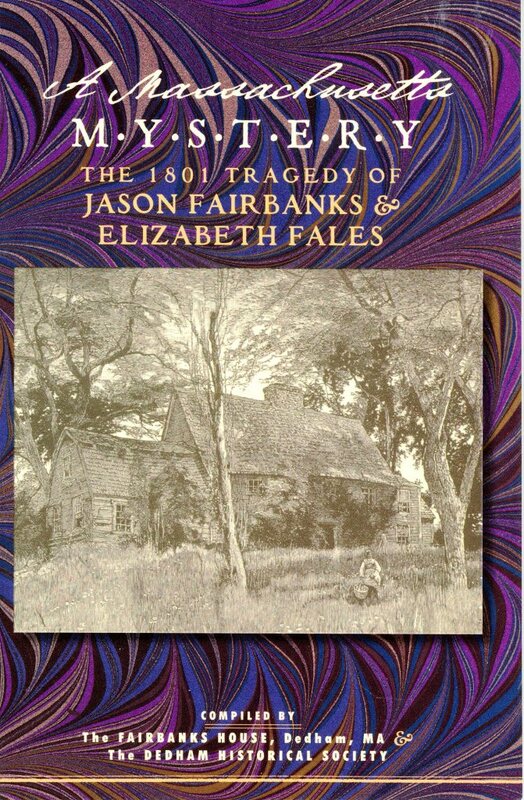 A Massachusetts Mystery: The 1801 Tragedy of Jason Fairbanks & Elizabeth Fales. The “Report on the Trial of Jason Fairbanks” and “The Solemn Declaration of the Late Unfortunate Jason Fairbanks” were published within months of Jason’s execution. They present the cases for the prosecution and the defense, telling a true crime story as mysterious today as on the day Elizabeth Fales died. Published by Applewood Books. Soft Cover. Massachusetts residents add 6.25% sales tax.We are currently experiencing problems with our gift shop. 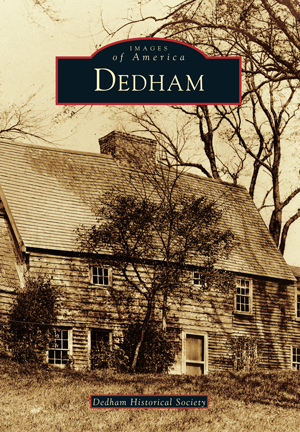 Please call us at 781-326-1385, Tuesday – Friday, 9am – 4pm EST or email society@dedhamhistorical.org to place an order via credit card. We apologize for the inconvenience. 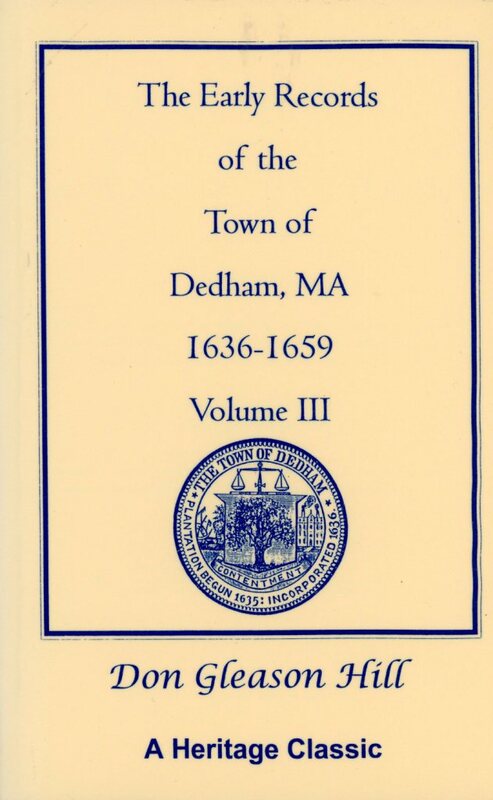 This volume contains a complete transcript of the Town Meeting and Selectmen’s Records contained in Book Three of the General Records of the town. There is an index of names as well as an index of subjects. 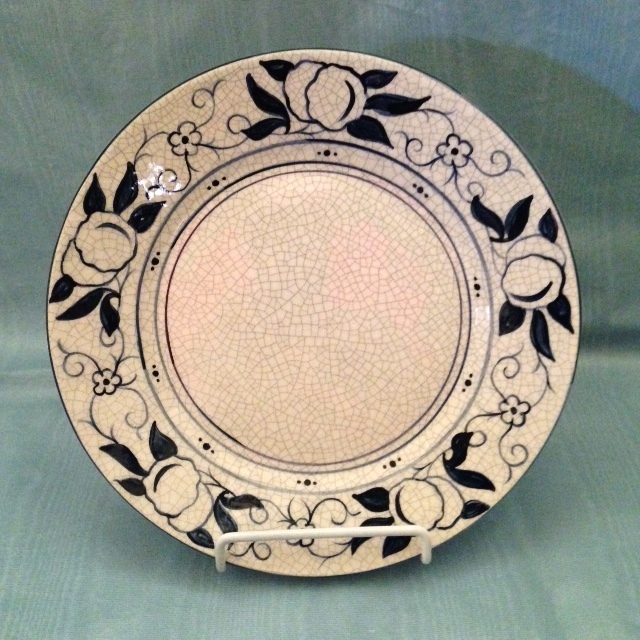 This design is one of several variations on the Wild Rose design which the Dedham Pottery produced. 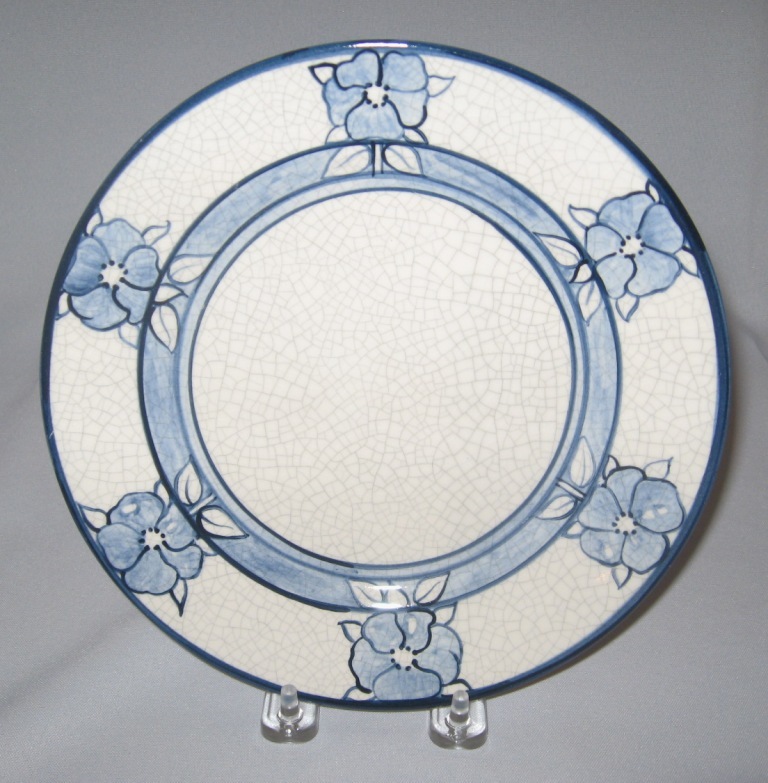 The “Wild Rose” is a design name that is not mentioned in any known catalogues or price lists of the Dedham Pottery (in existence between 1896 and 1943). Researchers have sometimes used the term “Five Petal Flower” to refer to what seems like a variation on this same pattern. 4.24″ x 2.5″ Laminated luggage tag. 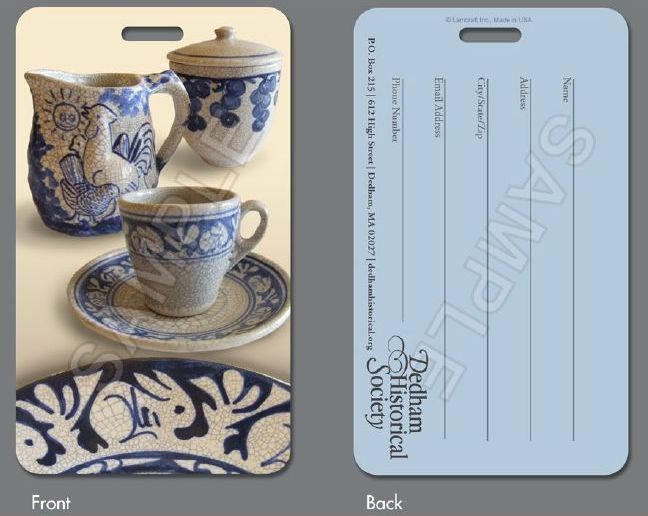 Images of iconic Dedham Pottery pieces on the front side with space on the reverse side for adding personal information with a permanent marker. Approximately 8.5″ diameter. Massachusetts residents add 6.25% sales tax. U.S. Shipping via insured USPS additional $12.00. For international shipping please contact the Society. We are currently experiencing problems with our gift shop. Please call us at 781-326-1385, Tuesday – Friday, 9am – 4pm EST or email society@dedhamhistorical.org to place an order via credit card. We apologize for the inconvenience. 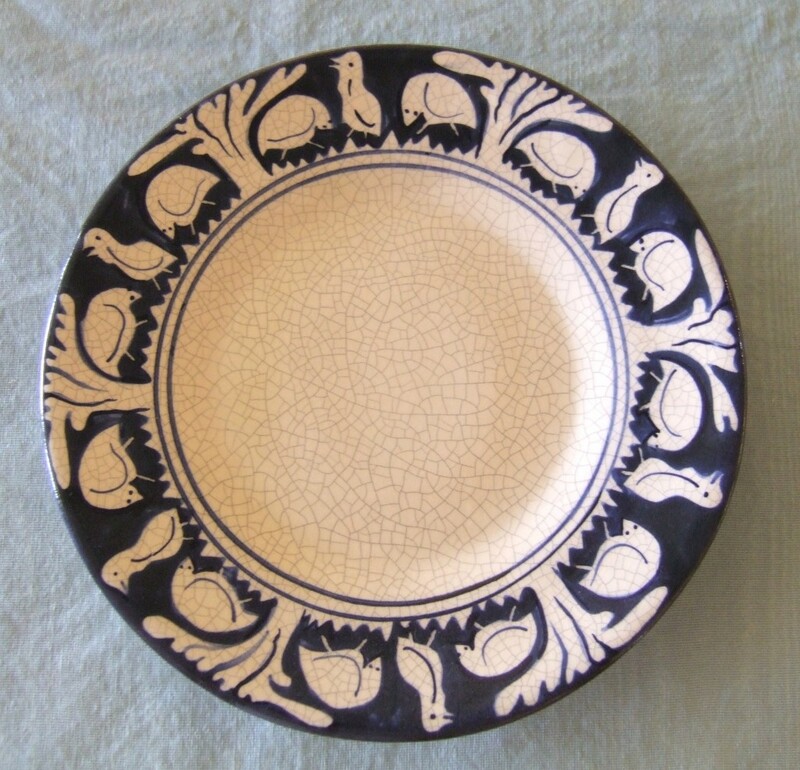 The vast majority of rabbit-decorated Dedham Pottery items show a right-facing rabbit, but an early example in the DHS collection shows a left-facing rabbit with a reverse color scheme. It has a blue rabbit on a white background instead of a white rabbit on a blue background. This limited edition copies this “double-reverse” example. 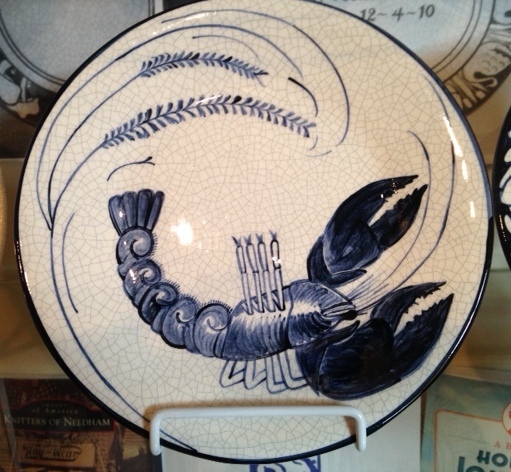 The lobster design on Dedham Pottery was introduced more than a century ago. 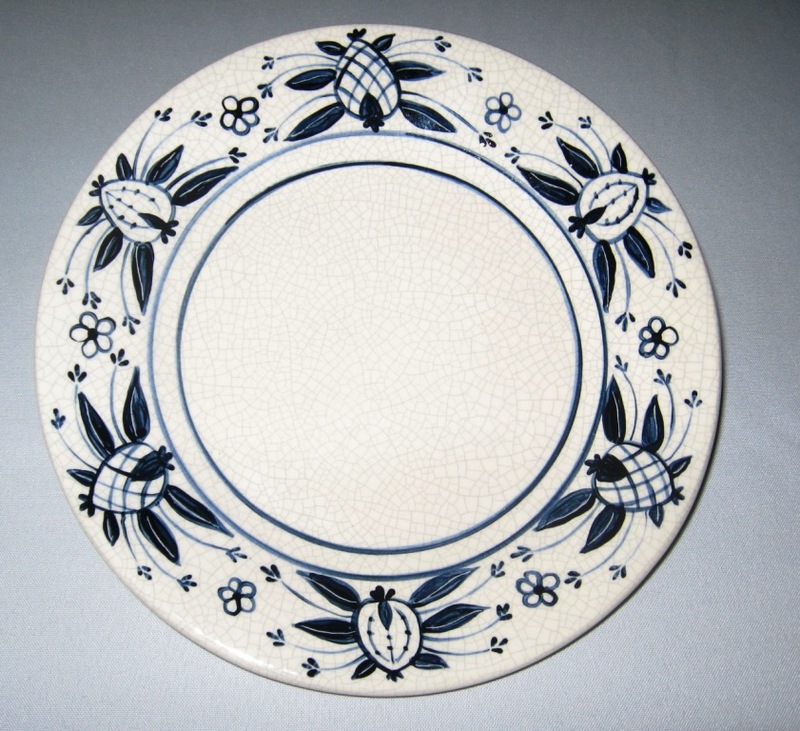 This New England themed design, with its asymmetrical placement of the lobster, owes much to the influence of Japanese art which had recently swept the Western art world. 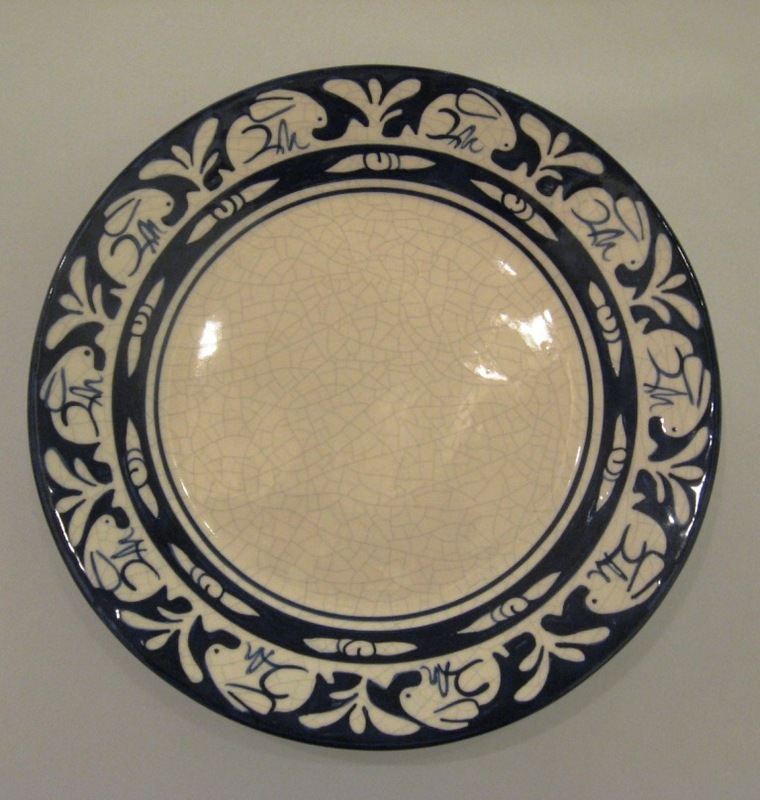 This particular example copies a rare example from the Society’s museum collection that was painted by Maude Davenport, widely acclaimed as the pottery’s finest decorator. Note the seaweed sprigs around the perimeter. Tejada’s close-up view of the case allows readers to see those involved in this controversial case as individual personalities. 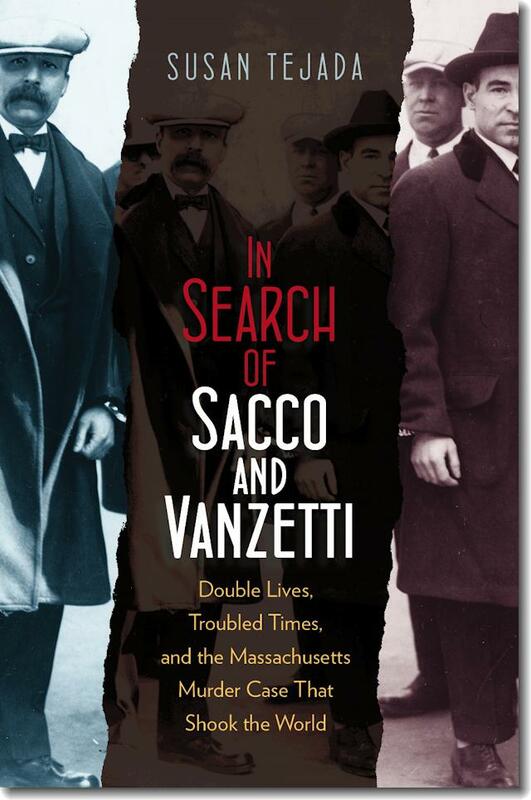 She paints a fascinating portrait of a bygone era: gangsters, Boston Brahmins, nighttime raids and midnight bombings, immigration, unionism, draft dodging, and violent anarchism. 385 page hard cover book published by Northeastern University Press/University Press of New England, 2012. Massachusetts residents add 6.25% sales tax. We are currently experiencing problems with our gift shop-please call us at 781-326-1385, Tuesday –Friday, 9am – 4pm EST, to place an order via credit card. We apologize for the inconvenience. 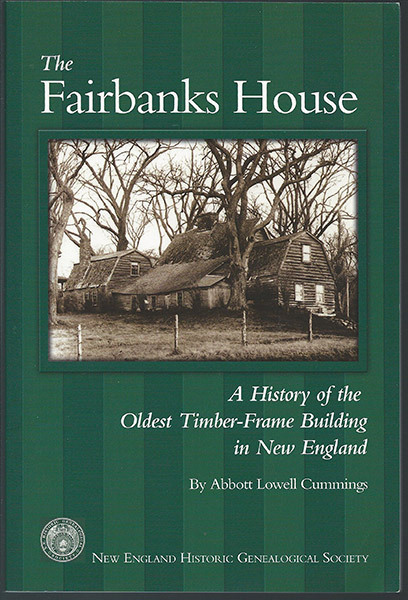 An exhaustive study of the Fairbanks House, the oldest timber-frame building, built in c1641 in Dedham MA. Cummings gives wonderful details about the history, architecture, building and rebuilding of the house. Also included are over 50 b & w photographs and illustrations. Written in conjunction with Building Conservation Associates. 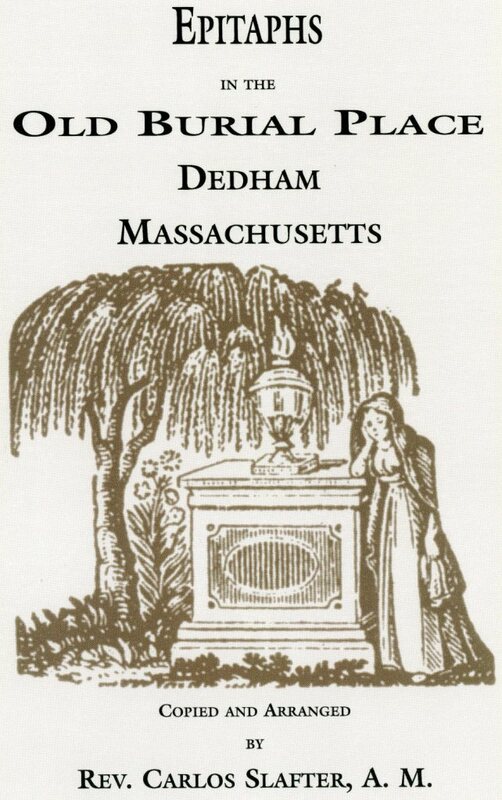 110 page soft cover book published by the New England Historic Genealogical Society , second edition 2003. Massachusetts residents add 6.25% sales tax. We are currently experiencing problems with our gift shop. Please call us at 781-326-1385, Tuesday – Friday, 9am – 4pm EST or email society@dedhamhistorical.org to place an order via credit card. We apologize for the inconvenience. Approximately 8.5″ diameter. 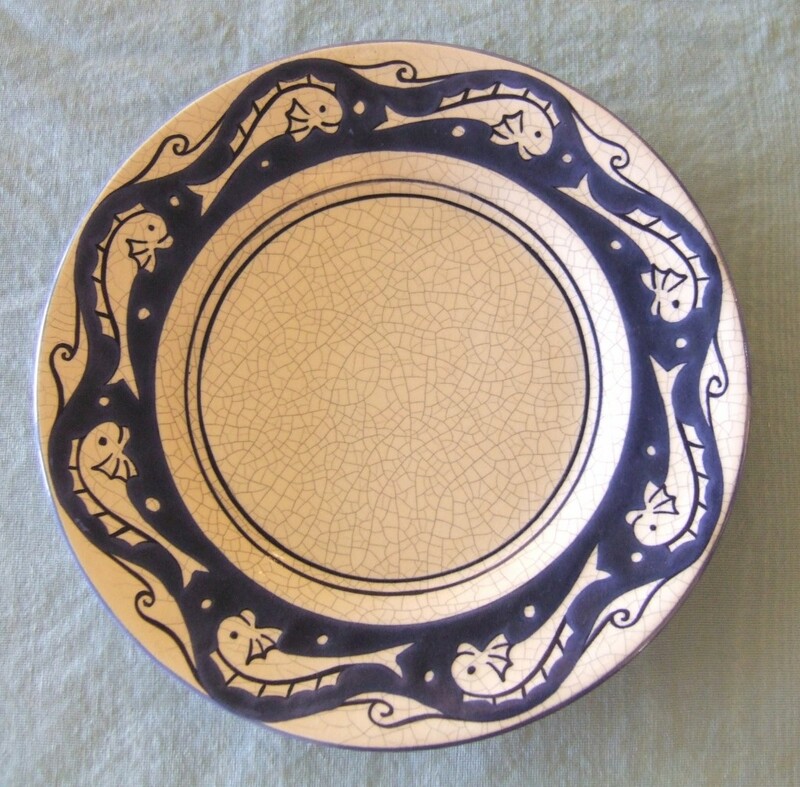 The Crab design on antique Dedham Pottery was introduced more than a century ago during the time of Hugh Robertson, the founder of the Dedham Pottery. 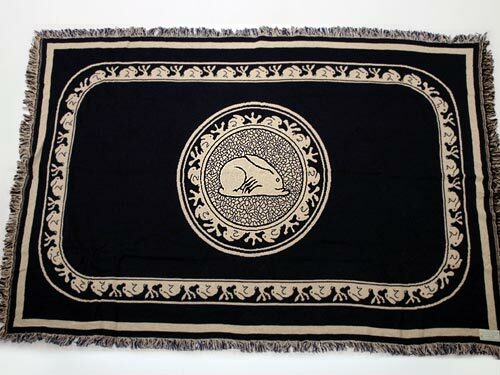 This rare design is highly sought after by today’s collectors. 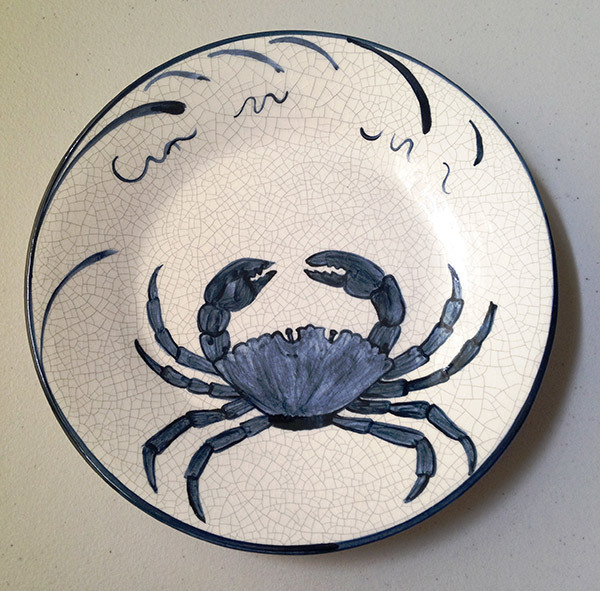 The New England theme design, with the Crab’s asymmetrical placement, owes much to the influence of Japanese art which had swept the Western art world. Note the embellishment of a stylized wave design around the perimeter. 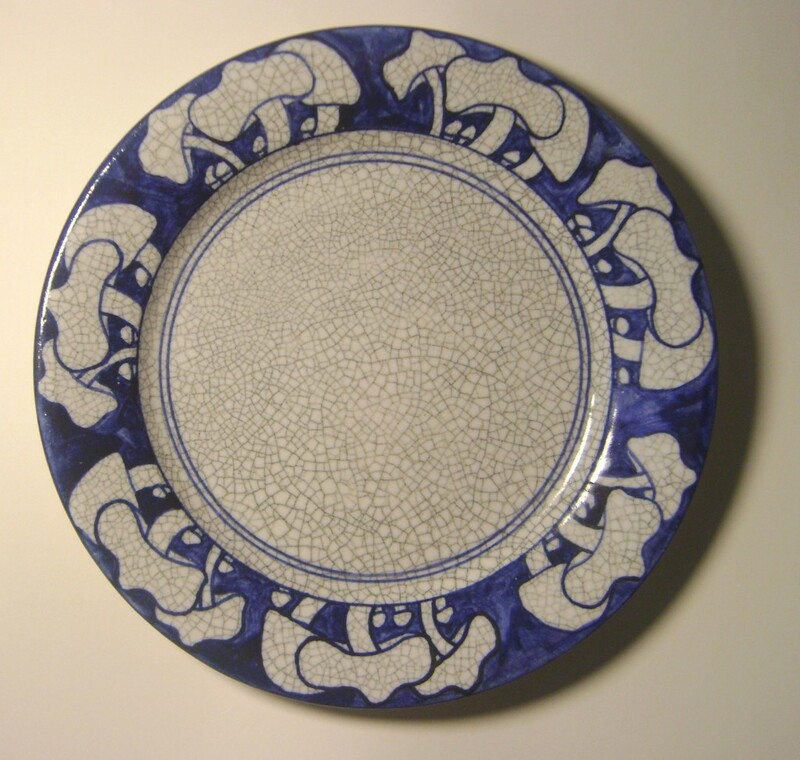 This plate faithfully copies a rare example in the Society’s museum collection. Made in Massachusetts. Massachusetts residents add 6.25% sales tax. U.S. shipping via insured USPS additional $12.00. For international shipping please contact the Society. We are currently experiencing problems with our gift shop. Please call us at 781-326-1385, Tuesday – Friday, 9am – 4pm EST or email society@dedhamhistorical.org to place an order via credit card. We apologize for the inconvenience. 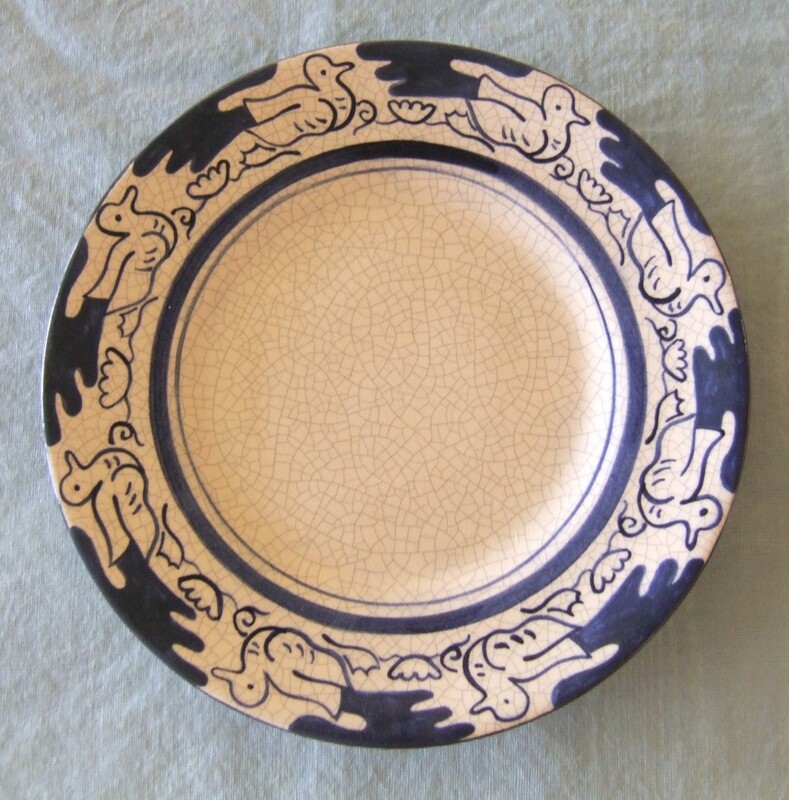 The horse chestnut design holds two distinctions. 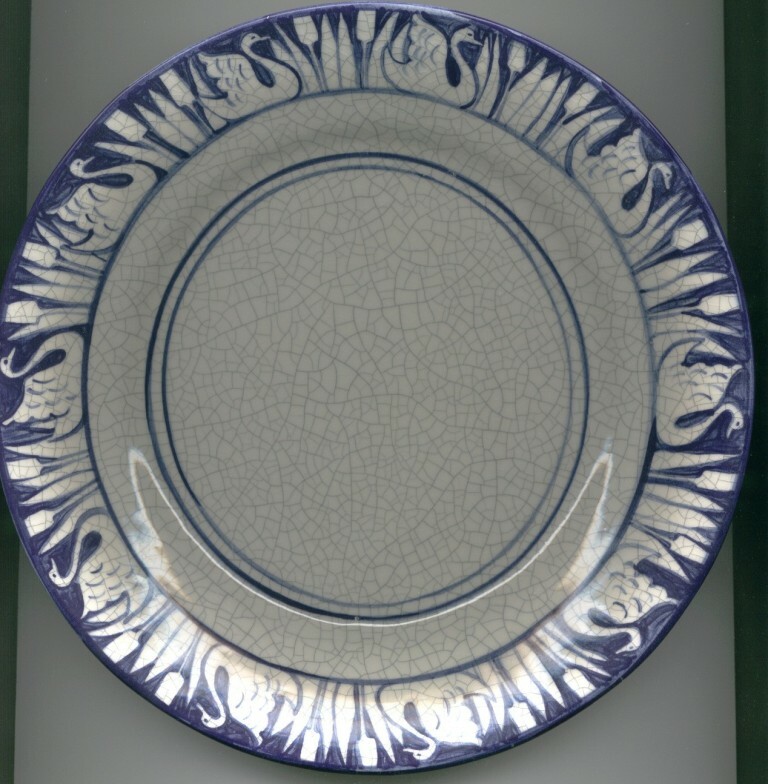 It was one of the earliest designs on Hugh Robertson’s crackle-glazed dinnerware, which became known as Dedham Pottery, appearing before the business relocated from Chelsea to Dedham in 1896. It is also the least recognized motif. 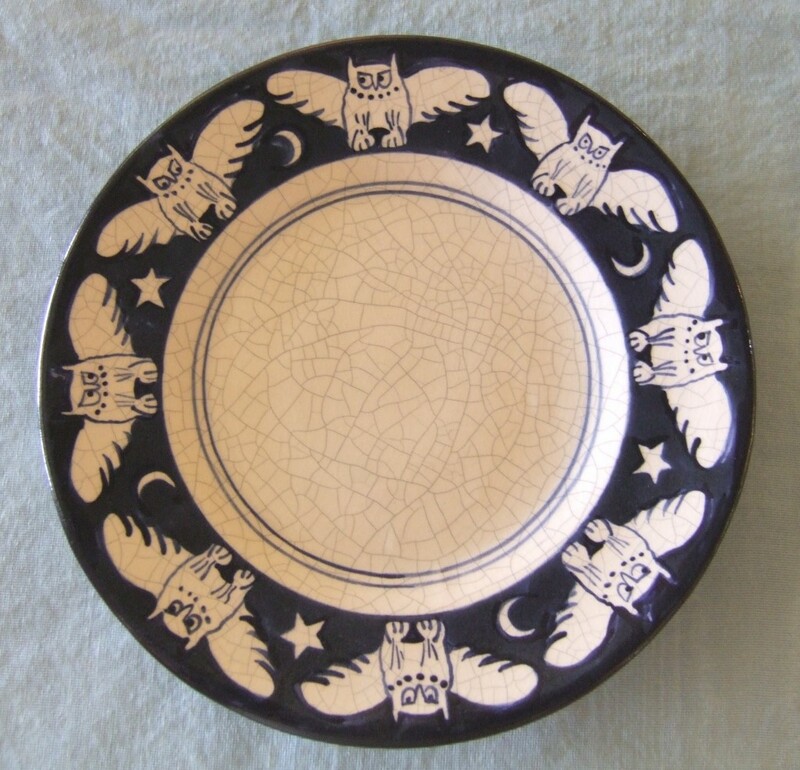 It has been mistaken for cotton balls, peaches, and grapefruit, non of which were Dedham Pottery designs. 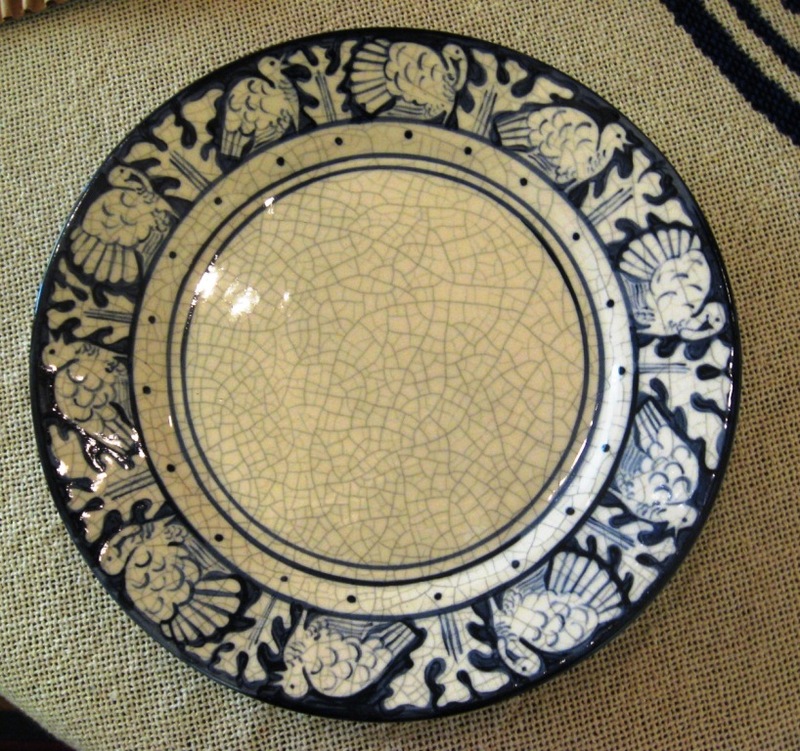 on Dedham Pottery was introduced more than a century ago. 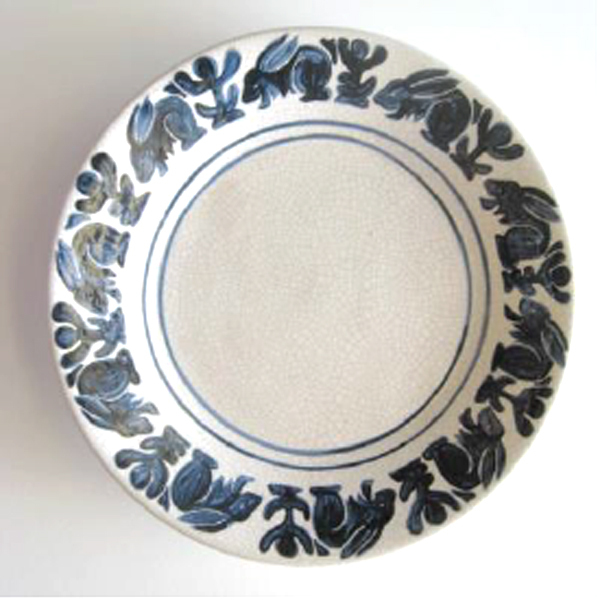 This New England themed design, with its asymmetrical placement of the lobster, owes much to the influence of Japanese art which had recently swept the Western art world. 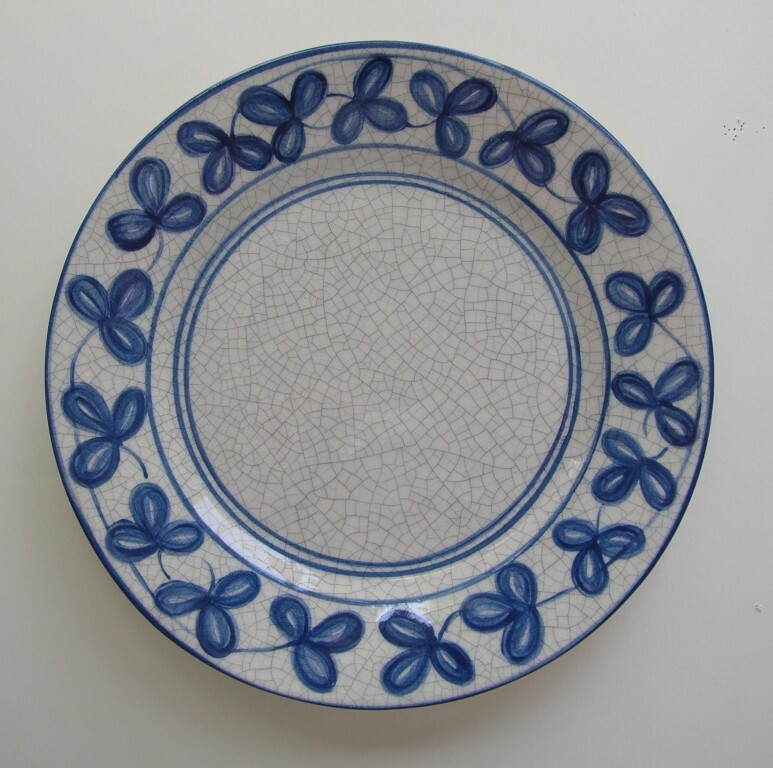 This particular example copies a rare example from the Society’s museum collection that was painted by Maude Davenport, widely acclaimed as the pottery’s finest decorator. Note the seaweed sprigs around the perimeter. 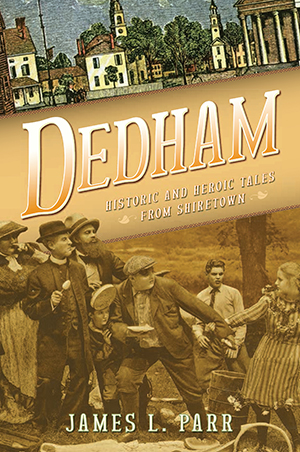 Parr paints a colorful portrait of Dedham through anecdotal material that highlights some of the more unusual people and events that have taken place here over the years. His book produces a memorable walk through the quirky side of the town’s history.